Members of People & Planet have spray painted the words ‘Divest Now’ in the Grade II* listed building. 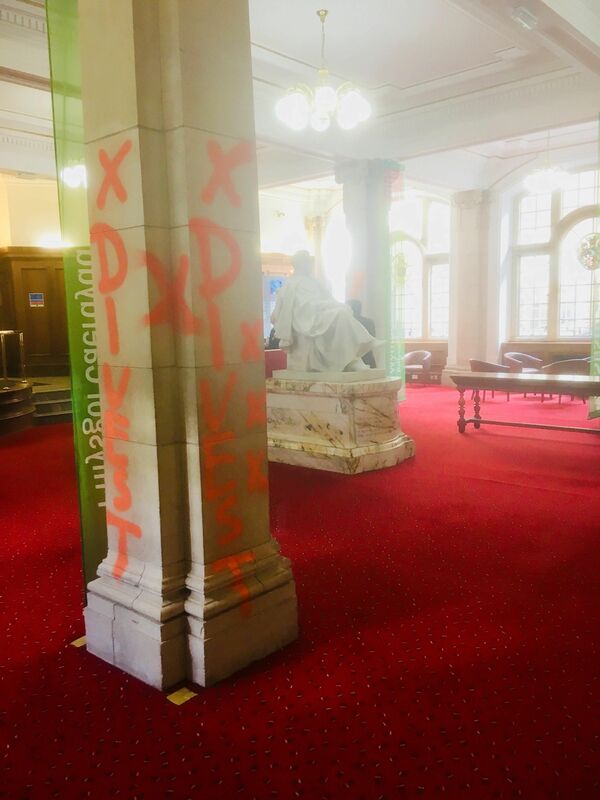 Protestors have sprayed orange graffiti saying "divest" on all the pillars in the foyer of Cardiff University's Grade II* listed Main Building. 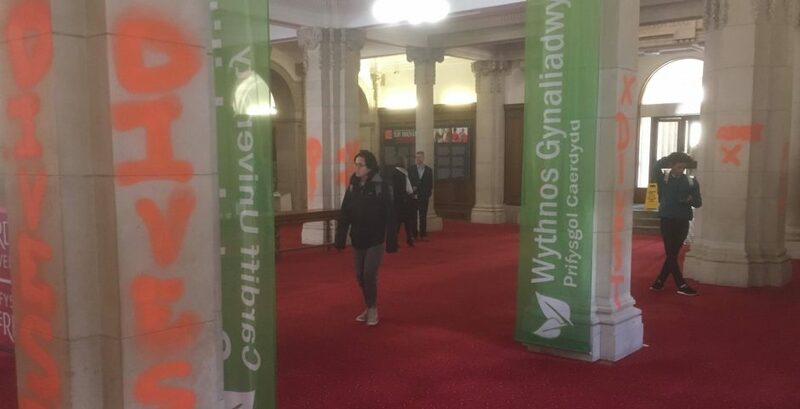 Six members of the organisation People & Planet, a student campaign group to protect the environment have given a demonstration in the VJ Gallery of Cardiff University's main building, in addition to the "Divest Now' spray paint. The group are protesting the university's investment in fossil fuel companies. Part of their demonstration has involved spray painting the six stone columns inside the main entrance in neon orange paint. Members of the society tell The Tab Cardiff the graffiti has been done in non-permanent spray chalk. "As a postgraduate member of Cardiff University and citizen concerned about the role of public institutions in legitimising the oil and gas industry, I am disappointed by this decision and fully support the non-violent direct actions taken by the campaign group". 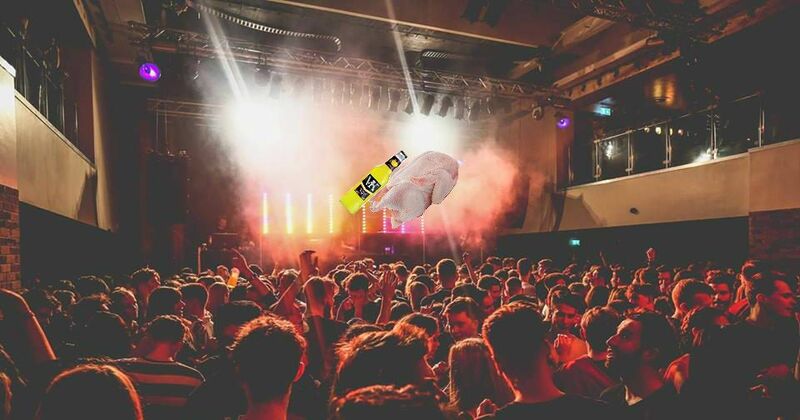 President of Cardiff People & Planet, Friederike Lurken, commented on the university's fossil fuel policy proposal. 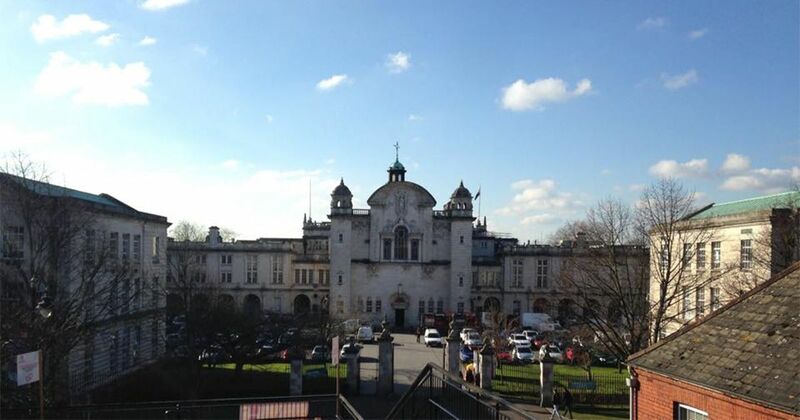 "Cardiff University have to decide what their stance on fossil fuel investment is. 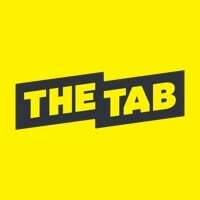 Either they remain in denial about the ethical consequences of their investments and maintain their portfolio as it is. 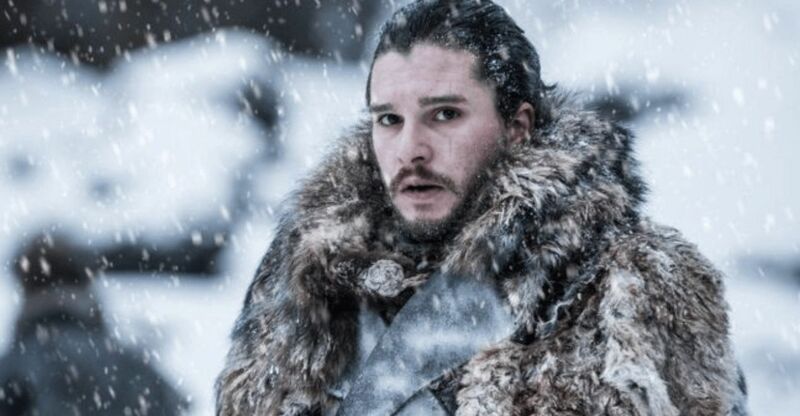 Or they acknowledge the destructive effects of the fossil fuel industry and withdraw their support for it. 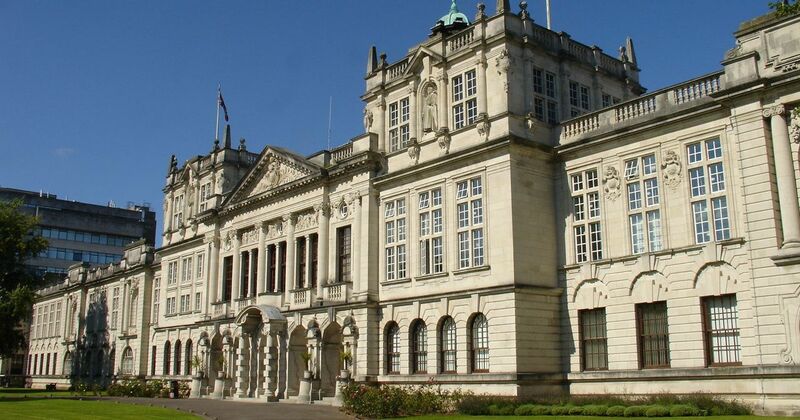 Through this policy proposal, Cardiff University doesn’t commit to any real change"
The Main Building at the university is one of the oldest and most iconic, it was given a Grade II* listing in 1966, which means it's a "particularly important building of more than special interest."